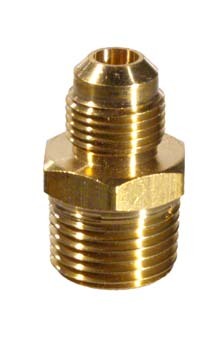 Threads into black pipe at the bottom of your gas system, for connecting to the 3/8'' female flare fitting on the end of your propane regulator hose. Look at the regulator picture at left. Made from brass.